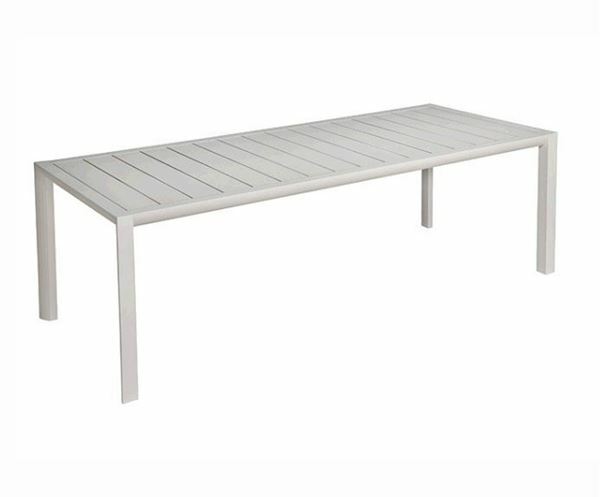 Feature fine dining on your patio or poolside with this 86" x 35" Sunset Rectangular Dining Table. This table comfortably accommodates a group of 8, perfect for parties or get-togethers at fun locations such as restaurants, community pools, and hotels. The frame is made from lacquered aluminum for a high resistance to corrosion in the most extreme outdoor environments. Designed with a simple yet modern slatted look. 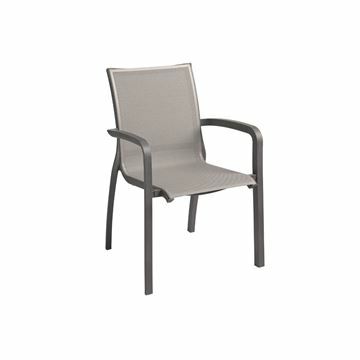 One of many pieces of our Sunset line of contemporary patio furniture that will match any decor and hospitable need.